The Fireball tetherball features a super-soft cover with a diamond textured for a unique feel. The fire graphics resemble an actual fireball while spinning. 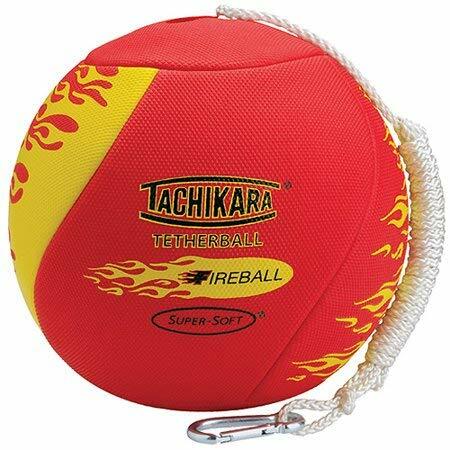 Add some extra fire to your game with the Tachikara Fireball Tetherball. When this ball spins, it looks like a ball of fire propelled by your mad skills. A nylon rope with metal clip is attached to a durable recessed metal post.